On July 14, 2007 a small plane crashed in Gardner, Massachusetts. I was the pilot, flying with my husband (Axel) in the backseat and my co-worker (Joan) in the front seat. We were cut out of the plane wreck by a remarkable rescue crew from Gardner (Mass.) and surrounding towns and airlifted to UMass Memorial Medical Center in Worcester. Axel was critically injured and stayed a week in intensive care. Joan and I were seriously injured and stayed about a week on the hospital’s trauma ward. We all received great trauma care for our various broken bones, ribs, vertebrae, lacerations, head injuries and bruises. After being released from the hospital Axel and Joan spent three weeks in rehab, while I was sent home on July 21st. By August 16 everyone had returned home and started the long road to recovery. Eleven years later there are still visits to the physical therapist, but reconstructive surgeries of shoulders and ankles are done. There are some lingering after effects that only surfaced when the big stuff was fixed and will probably remain but I have learned to live with them. Still, if you see us now, you would be suprised to hear that we survived a plane crash; we are all fully participating in the world. For this we are very grateful. This blog is a continuation of my daily reflections on the process of recovery and our lives as patients and people needing care. 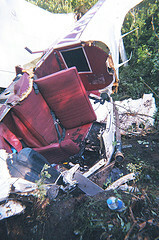 I started to write one week after the plane crash when I came home from the hospital on July 21, 2007. On Christmas Eve 2007 I received this website as a gift from you children. They painstakingly migrated all the Caringbridge entries made between between July 15 and December 24, 2007 onto the WordPress platform. For years I wrote daily, a ritual of writing I learned from Julia Cameron’s Morning Pages. The daily writing has helped me to heal psychologically and recover my mind, so busy ruminating, for more important work. As I continued to write the emphasis shifted from being a patient preoccupied with my own healing, to the healing of workplaces and organizations. As a public health professional I resumed my travel to places around the world and tried to move people from inertia and despair to initiative and hope that things can change. I did this primarily through leadership development of health professionals. In that post crash second life I had a full reservoir of energy that was constantly replenished by the people I was working with, all healers in their own right. In the fall of 2009 we went on an adventure in Afghanistan where I took up a two year po sition as technical Director for Leadership and Management in a large bilateral USAID project that was managed by my organization (MSH) . With that I moved another step away from the initial intent of this blog: instead of writing about our own recovery and rehabilitation I started chronicling the attempts at healing in a conflicted land. Fast forward to 2018. I have entered yet another phase in my life. My full-time employment at MSH ended after 31.5 years on June 15, 2018. I am a free agent now. The work and the writing continue. By pure chance I may be the first to leave a comment on the new site. You are an exceptional family that has had the experience of becoming even more tight-knit and warm than you were before. All this from a crash that drew out each of your pre-existing strengths, but which you (and we) knew of only in a small part. I would like to remark on one strength in particular: Sylvia, your awareness, expressiveness, persistence in writing, and perhaps most of all, your openness in describing your family’s experiences and relationships, and putting your own consciousness into words — all these have been intriguing and inspiring. We know you so much better than before! I thank you for this. A couple of times, you’ve questioned whether to continue posting. I’d like to tell you that not only Amy and I, but also others have read your writing — people like our brother-in-law Carlie Novogrodsky, Alan and Jean Teichroew, Barb Heyn and others. You have been telling a most compelling story. Amy and I hope all of you have the most happy of new years. I was surfing today and came acoss your blog. I am truly astonished to find your story. You and yours have had a pretty amazing year, from the crash to recovering. I wonder how you are all now,emotionally, as it has almost been the year. It’s funny, in the end my end career ended up the same as yours, in Leadership Development,albeit for a large organisation, Shell. I did loads of things in between though, as well, because of Jim’s( my better half) job. I would really like to get in touch to exchange experiences ( I noticed you’d been to a Schein seminar, do you know of David Kantor?). Let me know if that is of interst to you? It is only by accident (what a word in this case), that I came across your blog. You probably don’t remember me, as a lot of us at the SG Haarlem were most of the time more impressed by the higher classes and their privileges. I was, anyway. I was hoping to find some old schoolmates through LinkedIn, but there are relatively few from our generation there. I found Joanne, who persuaded me to get rowing, about a week ago also through LinkedIn. You wrote a remarkable story, I must say. Changes your perspective of Life, doesn’t it? A pity that the term “second life” nowadays has such a commonplace, even banal meaning. I wish I had the endurance to write such stories on a continuous basis. Well, maybe my time for writing has come. Even a small note or “accidental” encounter in whatever form can give inspiration to change your habits. I wish you good luck and hope we’ll meet again sometime at some SG reunion. Very special to see your picture and read your story. I got here indirectly through Olivier who is updating the aeternum-list. these days I only have a rowing machine (a good one a Concept II indoor rower, they do world championchips on it), but it’s a long time ago that I could find time to exercise. Like Willem I am a general practitioner, and after 4 years in a mission hospital in Ghana (83-87), I share a practice with pharmacy with my (in the meantime former) husband. Because of the divorce I am really parttime doctor and parttime parent; on my parenting days I feel lke I’m only the driver of my youngest daughter who is attending secondary school in Heerenveen (25km distance, 18 by bike),and dance classes in Oosterwolde (15km in the opposite direction)) and I recognize something of that in your last blog entry. I hope that you have overcome all the negative consequences of your plane crash and that the positive effects will last. I came across your blog as I was searching for everyday experiences of expats in Kabul. You have a tremendous story to tell. I thought you wouldn’t mind helping me out with a question I have. My boyfriend has just flown out to Kabul to work with a local NGO his friend set up. He would like me to visit him, but I am not sure what everyday activities would be possible in terms of security. My boyfriend insists that Kabul is safe enough, but it would be good to get a second opinion from a female perspective. Thank you for your time and any thoughts that you may have. Hi Megan, I agree with your boyfriend. you will have a wonderful time. I don’t know what the security arrangements are of your boyfriend’s employer so it depends on that; for example we are not allowed to walk anywhere but we have drivers who take us just about anywhere around town. There are wonderful shops and restaurants, parks and great people to meet at their houses. During the day, while he works, you may not be able to do much if movements are restricted so I would not recommend a long stay unless you have a thick book to read, a big knitting project or you want to write. If you wait till spring you and he can take some time off you can go to Bamiyan or Herat, both quite safe, with nice hotels (simple) to stay in. I think you will fall in love with this place as so many of us here have done. You can find me on fb if you want to write more in the privacy of an email and exchange skype names to talk. I look forward to seeing you in Kabul! It was great to reconnect at OBTC and hear about your life in Afghanistan and the pride and commitment you have to your work. Best wishes with your next chapter and engaging your work community with positive change. Let me know if the “Helping” book does anything for you. Thanks Jen, I have ordered the book and am looking forward to reading it – your comments were one of wonderful outcomes of my session. Upon returning home I read your winning article in JME and found it fabulous. It made me regret that I never attended that session you all did some years ago. The article made me reflect (and so your purpose was accomplished). I thank you for that. I came across your blog because a friend was searching for my blog so she typed my name in the search box [Mayssa] and introduced me to your world. this space is a very refreshing one i feel like it smells of freshly washed floors and sunshine in here and ive thouroughly enjoyed reading about your daily life. Hi Mayssa, thanks for your nice words. You are indeed only the second Mayssa I know, the other is American of Lebanese descent, a young colleague of mine. I liked your imagery. Are you a poet? ooh no im not a poet but thanks for the compliment! I am Aziz i lived in Afghanistan.I got your website from your sister,She lives in Brussel.I meet her every thursday at a Flemish cultur centre.I heard about your works in Afghanistan. Hoe vindt u ons land?.Ik vergeet uw zus naam.Zij is echt vriendelijk en ze helpt ons om Nederlands te leren. Ik zal zeker en vast meer informatie via deze website krijgen.